A good place to start the story of how we ran a Half Marathon at a blistering, Boston qualifying 7:40 pace is at the beginning. 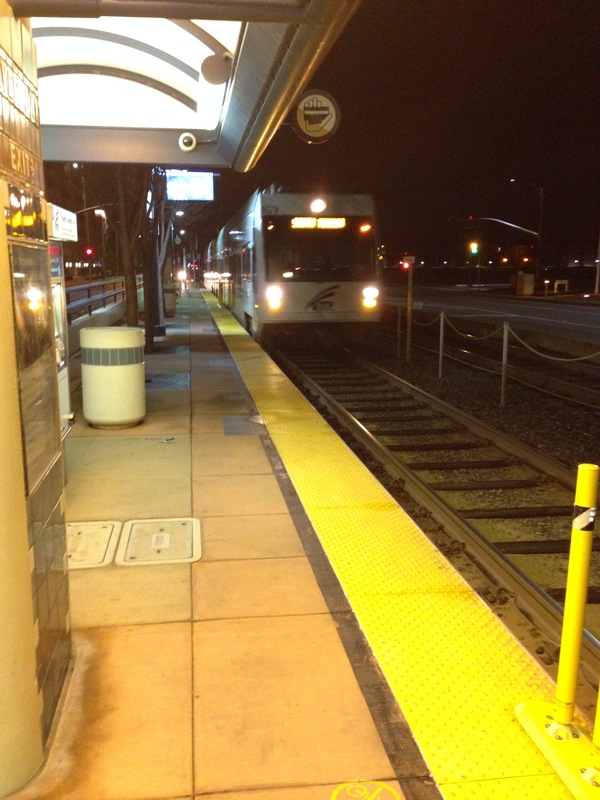 Light rail to SJC. 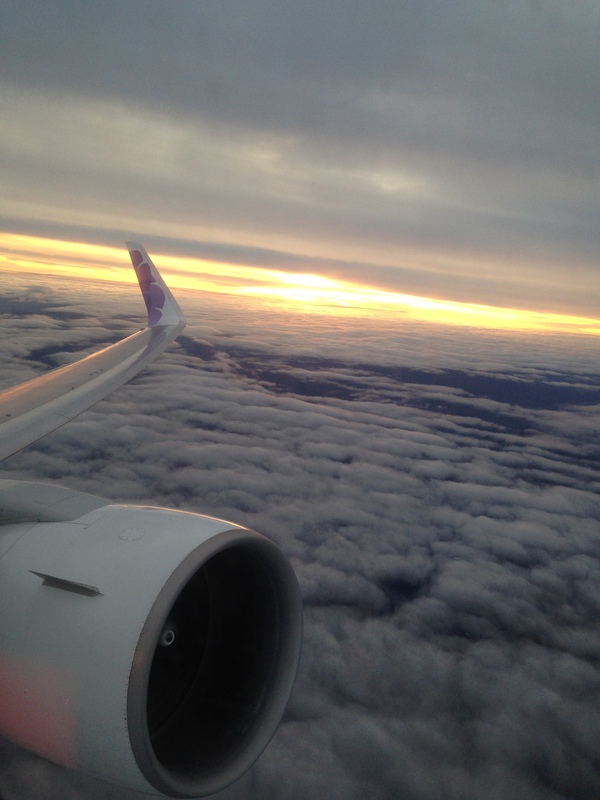 SJC to POGG on a Hawaiian 767-300. Headed to Maui for the 2016 Maui Oceanfront Half Marathon. We spent the week in Maui prior to the Half Marathon doing very little running, which was not in accordance with our very detailed running plan. 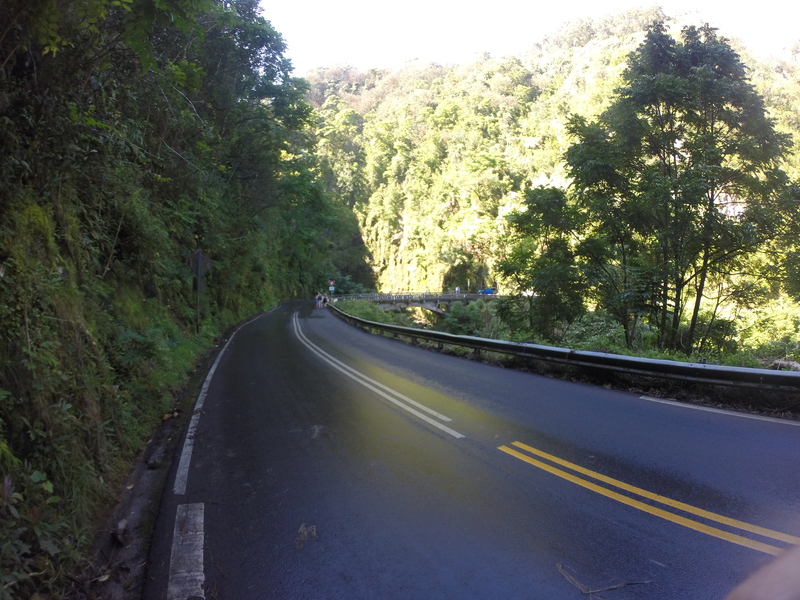 Instead, we drove the treacherous Road to Hana, 50 miles with over 600 curves and 100 single lane bridges. 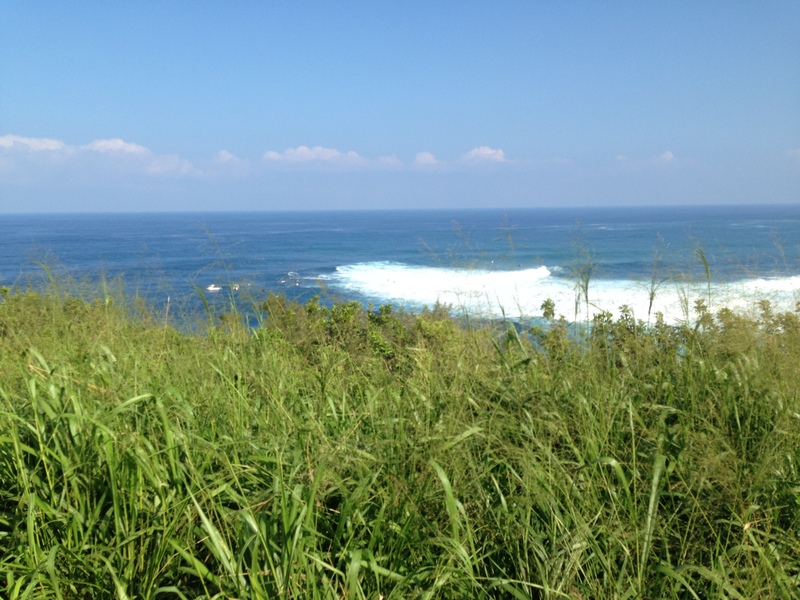 We watched surfers risk their bodies on the monstrous 40 foot waves at Pe’ahi Jaws. A once in a decade swell had the surf across the North Shore of all the Hawaiian Islands well above normal. 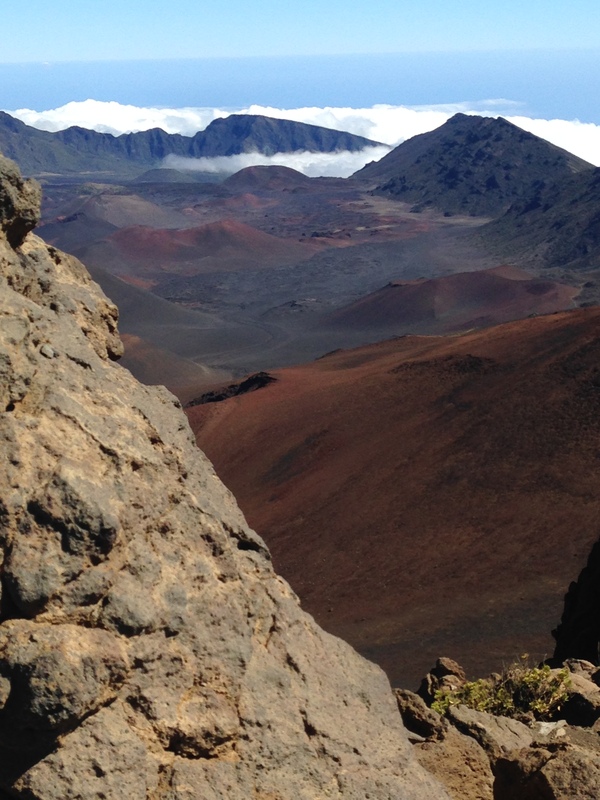 We drove the switchbacks to the 10,023 foot summit of Haleakala Crater. We snorkeled next to a beach that had reported, the day before (unbeknownst to us), an aggressive tiger shark. And over 6 days, we ran a total of 2.5 miles on the foot path next to our hotel in Wailea. We knew our Half Marathon times would suffer as our taper was not a taper—it dropped off a cliff. 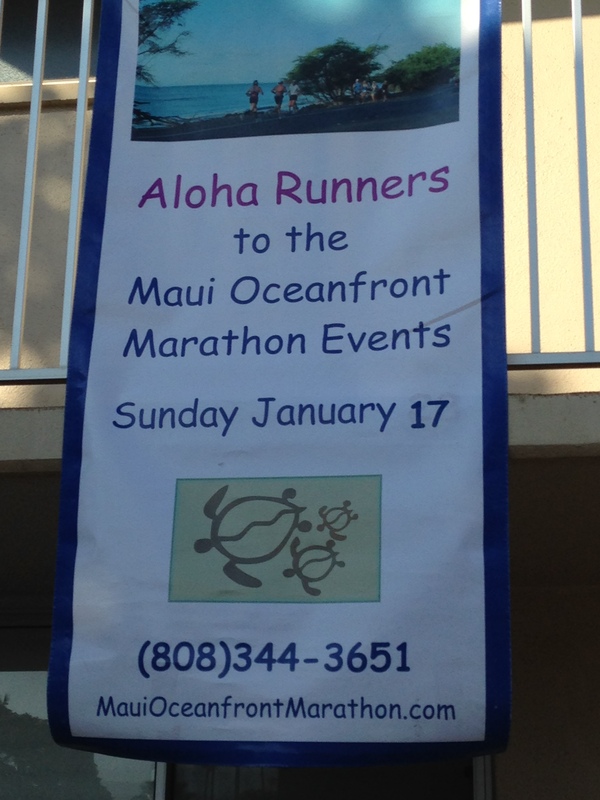 The Maui Oceanfront Marathon is a smaller run, with a total of about 1,500 total runners. The race director had kept us A, B and C- students well informed for months in advance with his NAGS from MOM (MOM, get it?) with tips on how to navigate the island and the race process. Bib pickup on Saturday was quick and painless. The staff and volunteers were helpful and knowledgeable. The Marathon was to be a one way run starting at 5 a.m. at the Wailea Shopping Center, ending near the Banyan Tree in Lahaina, 26.2 miles away. The Half Marathon and 10K were out and back starting at the Lahaina Banyan Tree south for 6.55 miles, and 3.1 miles, respectively to each turn-around point. The 4:30 a.m. alarm Sunday morning was jarring. Fortunately, the hotel Starbucks decided to open early for the runners. We snagged our caffeine and pastries and were on the road to Lahaina by 5:30 a.m. The Marathon runners, with their headlamps, were already on their way, and we passed a few of them, and a lot of well-lit rest stops, on our way in the dark from South Maui to North Maui. The race started off as all races do. Politely jockeying to position, making sure the Garmin is initialized, waiting for the sun to come up and the start horn to sound. S and I stretched like we usually do and lined up with lots of eager, nervous, confident strangers in the pre-dawn darkness. 18 minutes after the 6:35 a.m. start, a few of our lives would intersect at a brief moment in time and place. The first mile or so of the Maui Half Marathon heads south out of Lahaina on Front Street, with a climb to the Honoapiilani Highway. It takes about a mile for my legs to stop rebelling and finally accept that my mind is going to force them to run another 12.1 miles. 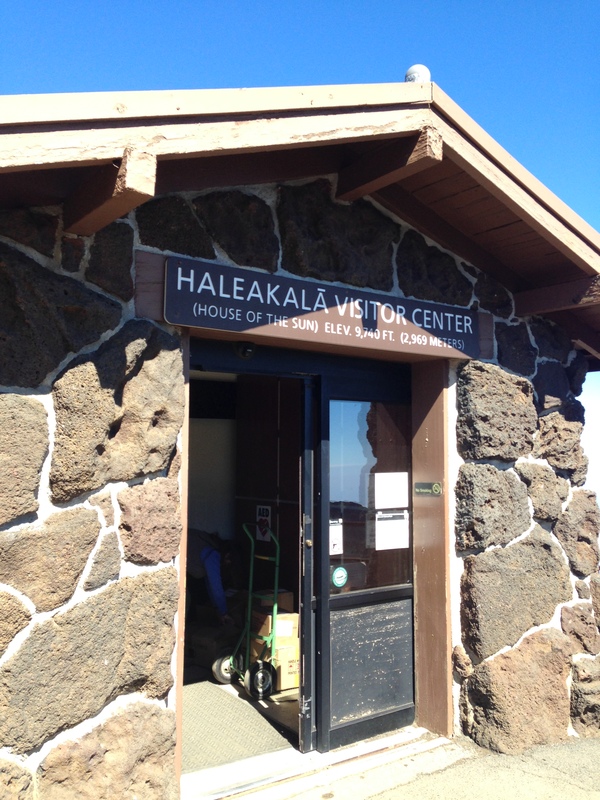 That happened just as we turned onto the Honoapiilani Highway, by the way, a name not easily pronounced by tourists. 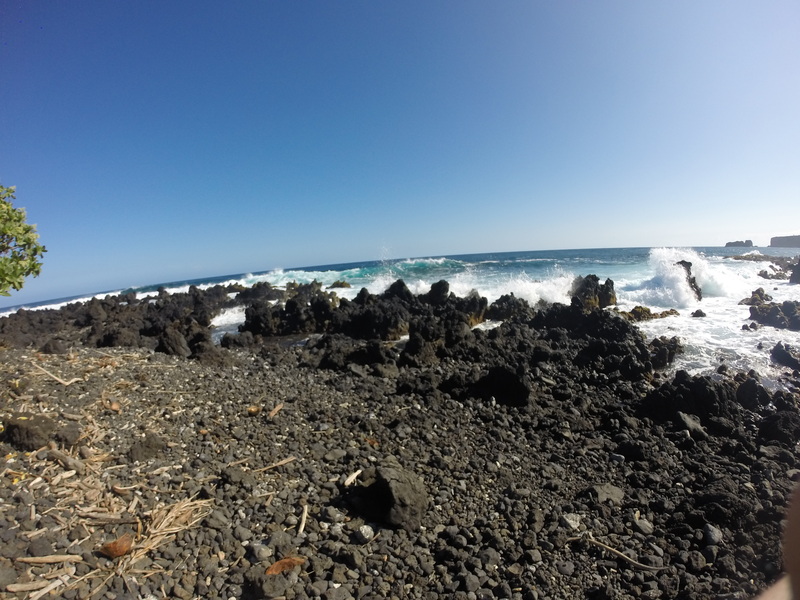 The Pacific comes into view, the waves hitting the rocks just a few feet away. This is what running on an island is all about, I thought. Foaming blue ocean on the right, jagged mountains on the left. I removed my right earbud to listen to the surf hitting the shore and scan the horizon for humpback whales. I was temporarily out of the zone. Even though our training had not gone as planned, my legs seemed fresh and I knew that I’d have no problem with my typical 9:30 or so pace for the run. Not great, but usually good enough to be in the top 10% of my age division and top 40% overall. S held back at a slower pace, still nursing a sore Achilles tendon. Then it happened. As foliage between the edge of the road and the beach started blocking the ocean view and the Half Marathon/10K Mile marker 2 just a few feet ahead, I saw him struggling. Another runner also noticed him about the same time. The struggling runner, who was just ahead of us, slowed then appeared to try to sit on a guardrail next to the highway, but then slowly fell to the ground on the other side of the guardrail. I’ve seen runners stop to stretch during runs, dealing with cramps, or just resting. This was different. In those initial few seconds, a few other runners also looked at him struggling but then they just kept running. I suppose when you’re in the zone, and faced with an unfamiliar situation, a person just keeps doing what they are doing. Or I suppose if one mistakenly thinks that there is nothing they can do to help, they just keep going. For a split second, I debated whether the situation required me to stop or keep going. I stopped. We later learned the distressed runner’s name was John. Just as John was settling in a stretched position onto the pavement, I noticed his muscles going taut and his eyes closing. I immediately started asking John if he was ok. So did the other runner. And not in a subdued way. In an assertive way. He did not respond. He was seizing up and unresponsive. The other runner, Nicole, tried to rouse John to no avail. John was older, but clearly in good shape. He looked like a runner. We stepped into the path of other runners telling them in no uncertain terms to help us help John, shaking them out of their zones of complacency. At that point, when the reality of the situation was forced on those arriving on scene, what I can best describe as controlled chaos ensued. Someone, another stranger, positioned himself to the side of John’s body and started CPR immediately. Nicole started asking if any of the runners were nurses or doctors as they slowly passed by. Luckily, several were medical professionals. I heard we had 3 nurses and 2 doctors helping out at one point. I run with an iPhone and I yanked it from my armband and dialed 9-1-1 on the cracked screen within 15 seconds of John collapsing. I really need to get that screen replaced. I managed to hit the “9” and “1” and “1” on the first try even though I was in the dawning sunlight and it was damn near impossible to make out the numbers on the reflective screen. I’m curious to listen to the 911 tape as I’m sure I butchered the name of the Highway, if I even tried to pronounce it. I told the dispatcher our location in reference to Lahaina (1-2 miles south) and 2 miles into the Half Marathon—a much easier task than pronouncing Honoapiilani. I recall the dispatcher wanting to confirm that I was on Maui, which was slightly perplexing. Perhaps on they get 911 calls that hit Maui cell towers from other islands. Thankfully, I can pronounce Lahaina. Sort of. Hawaii is a nice place, but the locals might want to use dual street names like Main, First, Second, etc. for the benefit of us mainlanders. The dispatcher remained collected and professional–putting me on hold a couple of times to relay the information across the radio dispatch channels. 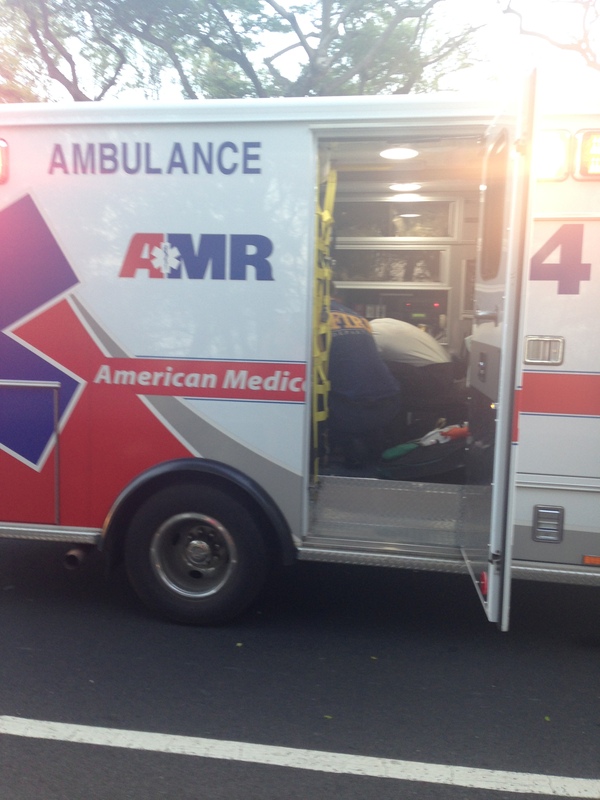 Within 2-3 minutes, we had several people alternating with CPR and checking for John’s pulse. They were relentless. Someone said that they heard one of the EMTs comment that the actual first responders (runners) did a great job as it appeared that John’s ribs might have been cracked. In the scheme of things, I suppose getting a steady stream of oxygen and keeping blood pumping trumps cracked ribs. John’s wife was also running and she arrived several minutes after John collapsed and was understandably upset when she realized the near lifeless body of her husband was on the ground. Although she remained in a state of concern, she became calm and let John know on several occasions that she was there. From my vantage, though, John was turning bluish and still did not appear to have a pulse. Someone off to the side was yelling to open an airway. I still don’t know want that meant as John’s lips were slightly pursed open and his nostrils appeared unobstructed. Perhaps they wanted his head cocked further back. I noticed his Adam’s apple moving with each chest compression so it appeared to me that air was entering his lungs. I dismissed the concern, but then I’m not a doctor. S arrived shortly thereafter and directed runners and cars away from the commotion. S recalls one woman runner who came up on the clot of people and exclaimed “Out of the Way! It’s a F*&%king race!” I’m not sure how dedicated of a runner she was as she must have been moving at a 12:30 pace. In any event, I’ll give this rude woman the benefit of the doubt and assume she did not know someone’s life was being saved on her portion of the pavement. While on the phone with 911, the dispatcher asked if there was a local resident who could identify our exact location south of Lahaina. I thought this odd as there is only one main road south out of Lahaina. If the dispatcher would just dispatch EMS south of Lahaina, I told the dispatcher, they’d see us. Nevertheless, a young Hawaiian woman who was running responded to my and S’s loud requests for a local person and she gave the dispatcher the proper name of a tree, a TREE, as the exact location of the incident. Just a few seconds later, we heard the sound of an approaching siren. I thanked the dispatcher as S and I were in the middle of the road flagging down the first official responder, a Maui police officer. Although I thought for a second he might hit us, he expertly applied his brakes and quickly exited his vehicle with a small black case—a portable defibrillator. He parked in the middle of the Highway blocking traffic. He told us to pull John under the guardrail next to the road and remove his shirt. The adhesive backing was removed from the two electrode pads and placed on John’s chest and lower abdomen. Everyone was told to back away from John’s lifeless body and then a jolt was applied. To me at least, it did not appear to have an effect. This was done a second time. The officer and assisting doctor asked for an airway tube, but I’m not sure one was found one in the small black case. A mid-sized fire truck soon arrived, then the ambulance, and either EMTs or firefighters placed an artificial chest compressor over John’s chest and his limp arms were strapped with Velcro to the sides of the apparatus. The machine was turned on to continue the chest compressions artificially. EMTs attached a bag of solution and injected John presumably with clot busting drugs or maybe GIK, who knows. I had a chance to look at the portable heart monitor as they continued to work on his non-responsive body and saw that a pulse appeared to have been restored and blood pressure increased to maybe 80/65. While that appeared promising, when John was placed on the backboard then gurney, he still did not look like he was going to survive. After all, it appeared that machines were doing all the work necessary for life for him. They continued to work on John in the ambulance. A Maui Police officer took my name and information for the report. It was about 25 minutes later when the ambulance, with John’s wife, left the scene. As they drove off, I told S that I did not think John would make it. As S and I stood on the side of the road, we realized that we still had 11.1 miles to run, but by then, our pace had dropped to 22 minutes/mile. In light of what had happened, we decided to run together at a slower pace to the 10K turn-around point, instead of doing the full half. We finished our 10-K in 1 hour and 38 minutes. But since we had signed up for a Half Marathon, and there were no mats at the turn around point to tell if one had done the 10K or the Half Marathon (honor system), the results showed us placing 1st and 2nd in our Age Divisions having run a blistering 7:40 pace. We fessed up several times that we had only run 6.2 miles so as to DQ ourselves. It took Pacific Timing a while to enter this into the database, so for about 24 hours, we were a couple of the fastest distance runners on Maui. Eventually they corrected the database and now our names have been erased from the records. Many of you who ran the Half or 10K yesterday saw one of our runners down at the two mile mark. John, a very experienced runner, as of yesterday afternoon was in ICU at Maui Memorial. His wife was with him and rode to the hospital and family is flying in to be with him. I will let you all know his progress going forward, but will respect his privacy going forward as much as possible as well. And I know you will all be sending him positive thoughts. I do want to thank Sharmaine, & Nicole & Mike and Dr. Meirs who came upon John and pretty much brought him back with CPR until the medical teams arrived. There were others who helped as well. Many of you have been asking about the runner who went down at the 2-mile mark of his half marathon. I received word from his wife that he is doing fine thanks to the first responders who administered CPR and saved his life. He would like to thank them personally and if you email back to me I will forward your email to him. He knows he is very lucky and wants to thank all. Oddly, S and I ran into Nicole by happenstance in Keihi at a Cinnamon Roll store (hey, that’s why we run) as we were headed to the Kahului airport on Monday. We thanked each other for each stopping and helping the other as we helped John. And then we made our 4 hour Pacific Crossing back to the mainland. So what did I learn from this experience? If someone looks distressed at a run, force yourself to step up and do something. The key is to break out of your zone of complacency and realize something is wrong. Then, force yourself to take the initiative, alone or with another runner, to ask, “Are you OK?” If you get a confused, or worse, no response, immediately force other runners stop and help. If it is a false alarm, worst case is that someone has a few seconds added to their finishing time. If it is not a false alarm, the first runner with a cell phone should be tasked to call 911. Task another to immediately start CPR, if necessary. Doing something in that situation is usually better than nothing. Learn CPR at your local Red Cross. With John, we were fortunate to have medical professionals who stopped and rendered aid. Some people are concerned about potential liability and are afraid of doing something wrong. Do the best you can. Good Samaritan laws will generally protect you. If you are visiting a new place for a run, get a general feel for the location and the streets. In that respect, MOM was good and was bad. I could barely pronounce the names of the towns and streets. 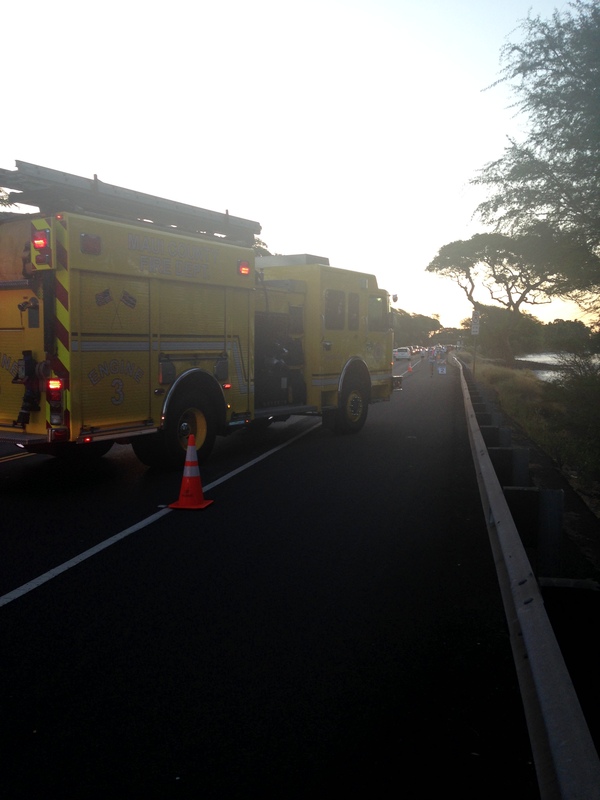 But we were lucky that there was only one main highway south out of Lahaina. Take a phone if possible. I have all my music on an iPhone. It is small enough to carry in an armband. Being able to call 911 immediately probably made a positive difference in the outcome. If you’re a runner and feel yourself getting weak or disoriented, position your weakening body in the middle of the running path so it is clear to all that you are in distress. Do not be proud. Put the ego aside. This makes it clear to all that help is needed. So what if it is not an emergency—the world continues to turn and people can continue running after they have checked on you. Put contact information on the back of the bib—and race directors, put emergency contact information on there too. By the way, the MOM race organizer, who arrived at the scene of the incident at the same time as fire department, handled the incident and aftermath flawlessly. He also promised S and I a free entry to next year’s MOM. 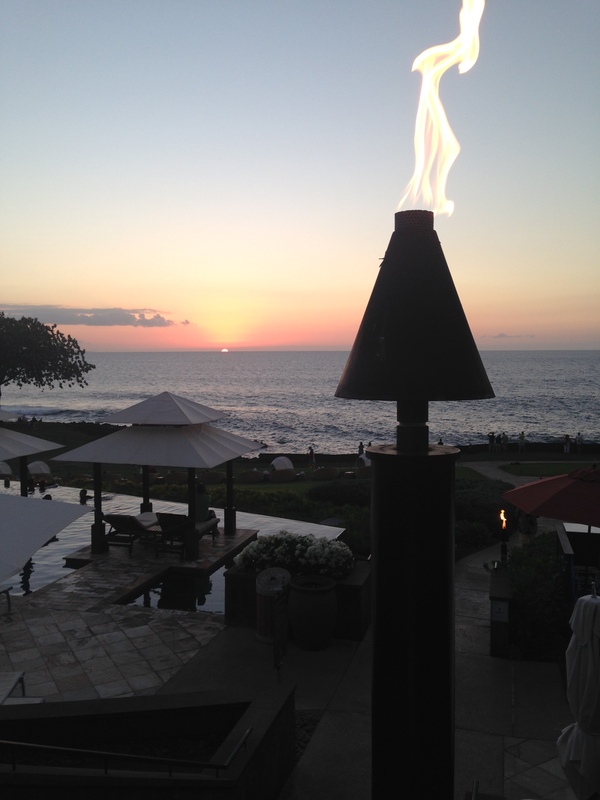 So we will return to Maui next year to finish those remaining 7.1 miles. Have speedy recovery, John. Between the two of us, we are proud parents, Texans, Texas Exes, long distance runners, cyclists, adventurers, a guitar player, a computer programmer, a great cook, a lawyer, an engineer, a physicist, etc. etc. This entry was posted in 10K Runs, Half Marathons and tagged 10K Runs, Half Marathon. Bookmark the permalink.